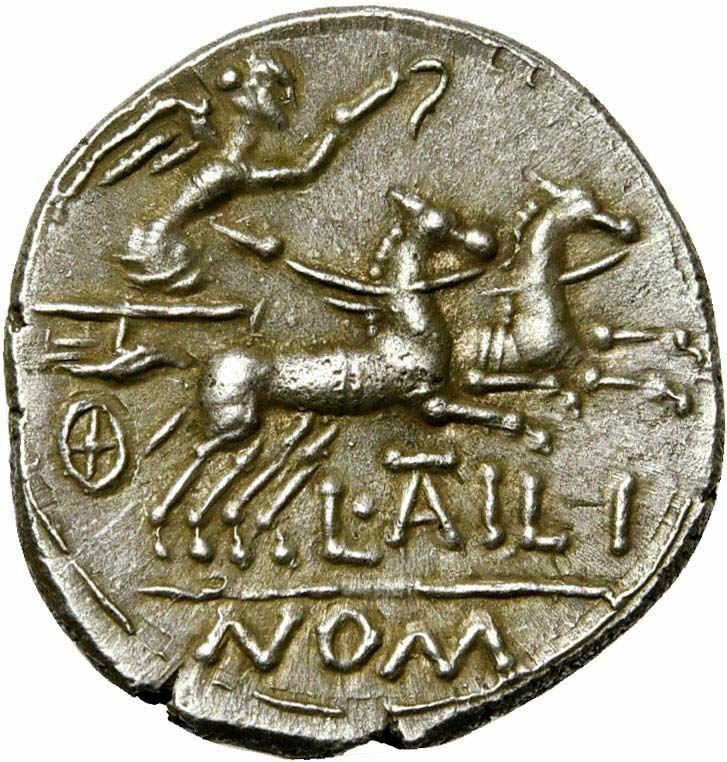 L. Atilius Nomentanus was one of the moneyers for the year 141 BC. He later served on the staff of Q. Mucius Scaevola, Praetor in Asia in 120 BC. Gens Atilia, sometimes written Atillia, was a family at Rome, which had both patrician and plebeian branches. The first member of this gens who obtained the consulship was Marcus Atilius Regulus, in 335 BC. The Atilii continued to hold the highest offices of the state throughout the history of the Republic, and well into imperial times. The cognomina of the Atilii under the Republic are Bulbus, Calatinus, Longus, Regulus, and Serranus; and of these the Longi were undoubtedly patrician.